This course will make you a TEFL expert. You’ll learn about using textbooks to their fullest potential, how to teach in less-than-ideal circumstances, lesson planning and more. After this course, you can feel confident in any teaching situation you may encounter. Our 160 hour Premier Plus course gives you every skill you'll possibly need in any teaching position. Graduates are fully equipped to begin their TEFL career. This course covers material essential to TEFL such as: English grammar, how students learn English and how best to support them, lesson planning and how to work with young learners. Including classroom management, coursebook language and using texts and tasks. See how to handle large classes, limited resources and other tricky classrooms. This module covers everything you need to know about adapting your teaching style for success in a YL classroom. 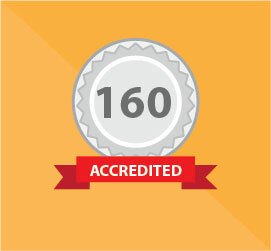 Why choose the 160 hour Premier Plus TEFL Course? Earn a TEFL certificate, key to getting the best TEFL jobs. Gain confidence in the classroom. If you have any questions, our team of TEFL experts are ready to help. You can speak to a TEFL advisor for expert advice in course selection.